[S4617] 1910 US Federal Census, Springfield, Sangamon County, Illinois, digital image Ancestry.com ; National Archives micropublication, Robert K Campbell head of household, Ward 6, roll T624_325, enumeration district 0149, page 4A. [S4318] Find A Grave: Asbury Cemetery, Dennison, Illinois, John R Campbell, created by kpet, added May 2012, memorial number 91072657. LEON P. HOPKINS. - Leon P. Hopkins, the eldest son of Captain Caleb Hopkins, was born July 15, 1851, in the city of Springfield, and is indebted to its public schools for the educational privileges he enjoyed. In 1867 he was apprenticed to learn the trade of a plumber and steam-fitter, being at that time sixteen years of age. He served for a term of five years, during which time he thoroughly mastered the business, becoming an expert workman. When twenty-one years of age he started out as a journeyman and was thus employed until 1887, when he entered into partnership with R. Helwig and established a business on East Monroe street, which is still conducted under the firm name of Helwig & Hopkins. The close attention which he gives to his business, his enterprise and careful management have enabled him to win success and the trade of the house is constantly increasing. The business methods which the firm follows are those which will bear the closest investigation and scrutiny, and as the result of their honorable dealing and earnest desire to please their patrons they have secured a very profitable trade. On the 30th day of December, 1875, Leon Hopkins was united in marriage to Miss Lizzie Hesser, a daughter of Joseph and Mary Hesser, who were natives of Missouri. Mrs. Hopkins, who was born in Springfield in 1856, is a graduate of the Springfield high school, and after completing her education there she engaged in teaching in the district schools of Sangamon county for a number of years. By this marriage there are five children: Pearl, now the wife of Bert Bunnell, of Bloomington, Illinois; Kate Hesser, who was a stenographer in the employ of the Sattley Manufacturing Company, of Springfield, and was married February 8, 1904, to Kimble Young, a farmer now residing at Indian Point, Menard county, Illinois; Louis Leon, a student in the high school; Grace, who is also attending the high school; and Ellen, a pupil in the Springfield schools. Mr. Hopkins has given to his children excellent educational privileges, thus well preparing them for life's duties. He is a member of the Knights of Pythias fraternity and the Modern Woodmen Camp of Springfield. Mrs. Hopkins and her children are members of the Methodist church. 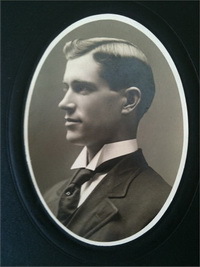 Mr. Hopkins, like others of his family, possesses marked musical talent, and since twenty years of age has been a member of the Illinois Watch Factory Band, one of the most famous musical organizations of the state. Previous to entering upon business on his own account he engaged in teaching music. In his business career he has been very successful, and though he started out in life empty-handed he is today one of the successful residents of Springfield, having worked his way steadily upward from humble surroundings to success. About a quarter of a century ago he built at No. 431 New Street the comfortable home which he and his family have since occupied. He has witnessed the greater part of Springfield's growth and improvement, for when he located here the town contained only about five thousand inhabitants. [S4787] 1940 US Federal Census, Bloomington, McLean County, Illinois, digital image ; National Archives micropublication, Bert Bunnell head of household, roll T627_841, enumeration district 57-13, page 5B. [S4640] 1920 US Federal Census, Bloomington, McLean County, Illinois, digital image Ancestry.com ; National Archives micropublication, Bert M Bonnell head of household, Precinct 11, roll T625_386, enumeration district 101, page 7A. 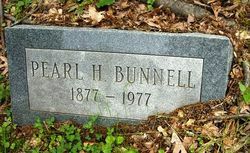 [S4353] Find A Grave: Oak Ridge Cemetery, Springfield, Illinois, Pearl E Bonnell, created by Sandra Kluge, added Jul 2007, memorial number 20552781. 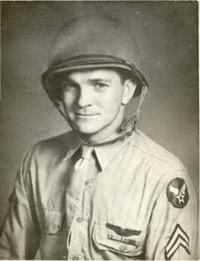 [S1439] National Archives and Records Administration, US World War II Army Enlistment Records, 1938-1946, Digitized by Ancestry.com Operations, 2005. (Original publication: www.ancestry.com Electric Army Serial Number Merged File, 1938-1946, ). [S2552] Find A Grave: Camp Butler National Cemetery, Springfield, Illinois, information from the Idaho State Journal, Pocatello, Idaho 10 Nov 1977 - information no longer on website, James Kimble Young, created by Reverdy, date added Jun 2009, Memorial number 38749692.